Looking to play online slots at an online casino the game selection wont be an issue. Dreamz Casino offers +1000 online slots and casino games. Browse around and find your favorite! As the casino industry and the technology is advancing, new games with new features appear every single week. As you may understand it’s quite hard to keep track of it all. But don’t worry – here at dreamzcasino.com we’ll make sure to guide you through all different types of slot machines and bonus games. Slots machines have a long history. It all started with one-armed bandits 150 years ago in land-based casinos, then the internet came and evolution took its course. You can still find the classic three-reel fruit slots machine in most online casinos. However, through technological progress, slots have evolved into something completely new, the so-called video slot now rules the casino world. These days the player gets bombarded with stunning visual effect, cool features and amazing bonus games throughout their gameplay. Which makes the casino experience more than just a chance to make that big win. As stated above, slots come in a great variety. So if you want to learn more about what kind of games there is, what bonus games each slot have and want to get know the all the basics, Dreamz Casino is a great place to start! Let’s dig deeper into the world of slots and see what we find! There is a number of different types of slot machines, with different themes, features and bonus games. And to make it more complicated, online casinos have various name for them. However, there are some recurring names that you have probably seen before so let’s let’s clarify what each game type is. This is the old school style of slots, sometimes called fruit machine due to the symbols on the machine. I’m sure you recognize it. 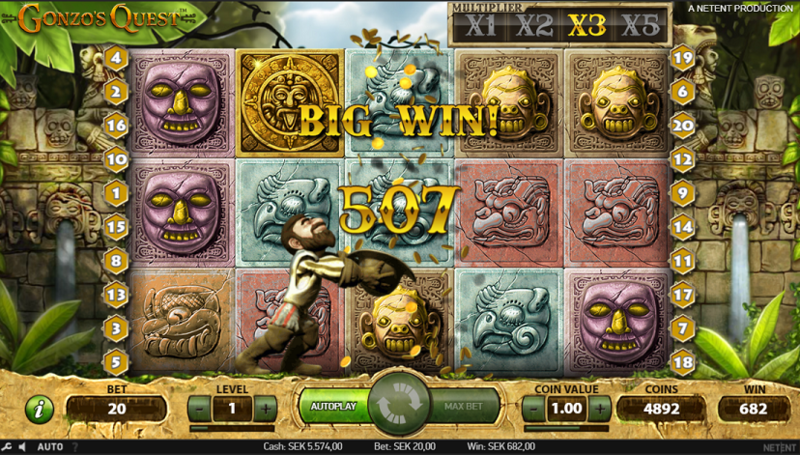 It has a similar look to the traditional land-based slot machines. Usually 3-5 reel, with fruits, numbers and BAR symbols, you get the picture! Classic Slot Machines is best suited for you who don’t want visual effects that may distract you. It’s a pretty straightforward slot type for you who want to go the traditional way. Even if most classic slots keep the traditional timeless look, we can see that more and more online casinos offer some variations, an updated version that goes more and more towards the style of Video Slots. If you want to learn more about classic slots, we highly recommend you to swing by our guide where we dig a bit deeper in gameplay, rules, and have a look at the game visuals. The slot that conquered the online casino world. Video slots have become a favourite among many casino players due to its amazing visual effect and interactive elements, different features and loads of bonus games. If you stop by an online casino you’ll see that there are hundreds of video slots to choose between. Even if most slots have the same basics each game have their own unique touch, with different special features and bonus games. Most online casinos offer a “play for free” service so our advice here at Dreamz Casino is to try out a few games before you start to play for real money. There are couple jackpot variations and the prize pool differ a lot. For the million-big winnings, there’s usually a progressive jackpot, which increases as player place bets on a machine that’s linked to the jackpot. If you take a look at slot machine you’ll see the prize pool increasing by the second. There’s also the non-progressive jackpot slots, these have a fixed prize pool which doesn’t increase based on placed bets from other players. Check out complete guide for jackpot slots and learn if there’s a way to maximize your chance to claim that multi-million jackpot! Which Slot Machine is the Best to Play? There are multiple slot sites that offer really advanced filters which makes finding great online slots easier. For example, most slot sites on Casinomir.com have features including game filters, game collections and random game selectors. So, Which slot is the best – a recurring question and the answer is quite simple – it depends on what preference you have. What type of slot do you like? Are there any special features that appeal to you – expanding wild, walking wilds or re-spin? How much are you prepared to bet per spin and do you want to have the chance to claim a huge jackpot? These are the question you should ask yourself. Basically, choose the slot machine you find the most fun and exciting! The chance of winning is basically the same on all slots. The theoretical refund on a slot machine is around 95%, usually a bit higher. Even if it can differ a few percentage points the theoretical refund is eliminated over a long period of time, which makes it impossible to take advantage of it. If you are interested in knowing the so-called theoretical refund, you can often find information about this for each game by clicking the question mark or information icon inside the game. The best we advise Dreamz Casino can give about the best slot is to play on the slot machine you find the most fun and exciting and keep your fingers crossed! As you may have noticed there is a lot of slots to choose from. It’s a full-time job just to keep up to date as new ones are being released every single week. This makes it quite hard to find the game that’s best suited for you, as there is so many to choose from. On the other hand, it gives you the opportunity to launch yourself into a new uncharted casino experience almost every week. Even if new games appear every week, some slots seem to stick around forever. Below you find a few slot machines that been around your many years but still are very popular among many players, we here at Dreamz Casino included! Gonzo’s Quest: Gonzo have been around for years, but is still one of the most popular slot machines. It’s a 5-reel machine with falling symbols, which mean that each symbol connected on a winning pay line will disappear and new ones drop down to fill the hole. So it’s almost as you get a partial free spin each time you win. In addition to that, there is a multiplier up to x5 which increase by 1 each time you win on the same spin. Gonzo’s Quest also has an amazing free spin feature. If one of your payline contains a so-called free fall symbol, you receive 10 Free Fall (free spins). During your free fall, the multiplier can reach up to x15 your bet which opens up for some really big wins! 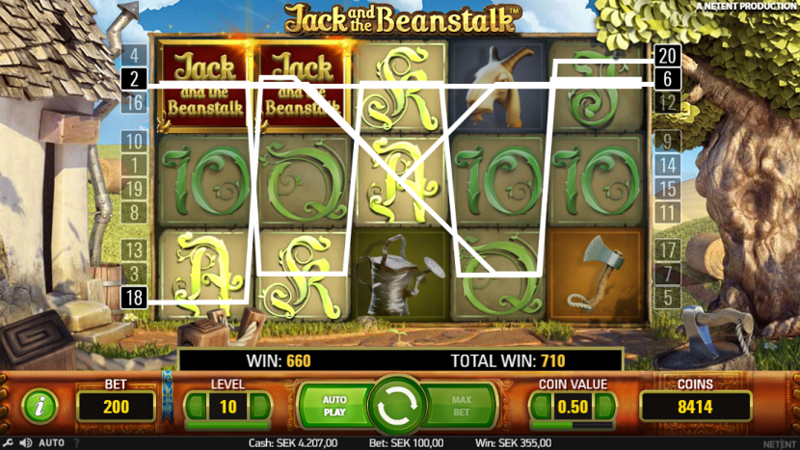 Jack And The Beanstalk: This video slot has amazing visuals and a quite catchy sound effect and music as well. It’s a 5-reel slot with the walking wild feature. The walking wild can appear on all five reels and have a 3x multiplier, and gives you free re-spin as long they are in play. The symbol moves one step to the left each spin, until it disappears to the far left side. Three or more chests (scatter symbols) will unlock the bonus game – 10 free spins with a special walking wilds feature. Your mission during the bonus game is to collect keys in order to upgrade your walking wild symbols. It’s divided into three steps, where you need 3 keys to move on to the next step. 3 keys: Wild symbols will be stacked with 1 extra wild. 6 keys: Wild symbols will be stacked with 2 extra wild, so three in total. 9 keys: Wild symbols transform to expanding wild, covering the whole reel. All wild during bonus game still have 3x multiplier, so if you reach level 3 you have a good chance of a big win!